Weather: Overcast, light showers, not as windy as forecast! 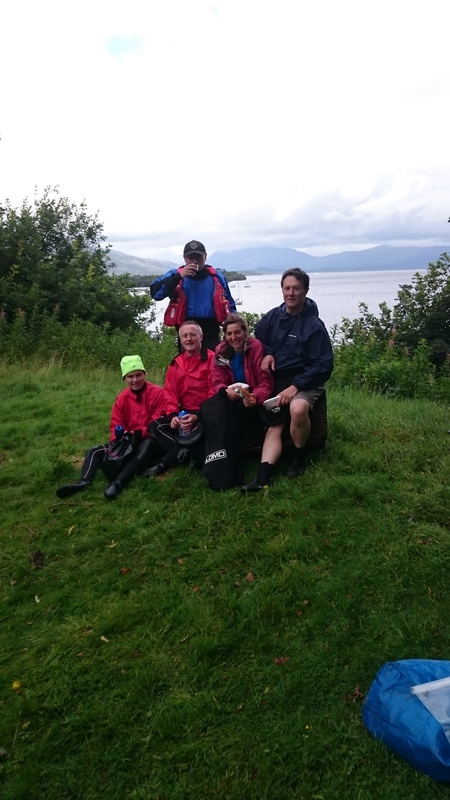 Report: The objectives of the trip were twofold; to test out the new boats acquired by the club and to have a picnic (and photo) for a competition run by the Argyll Community Trust. We first headed south and watched the Great Scottish Swim. Not the most riveting of spectacles. 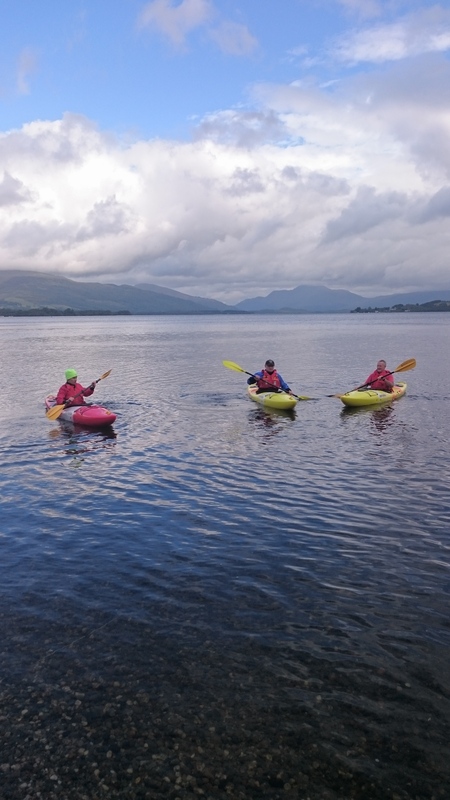 We then headed back north and paddled up the Fruin for about a mile. This is a lovely, unknown paddle. 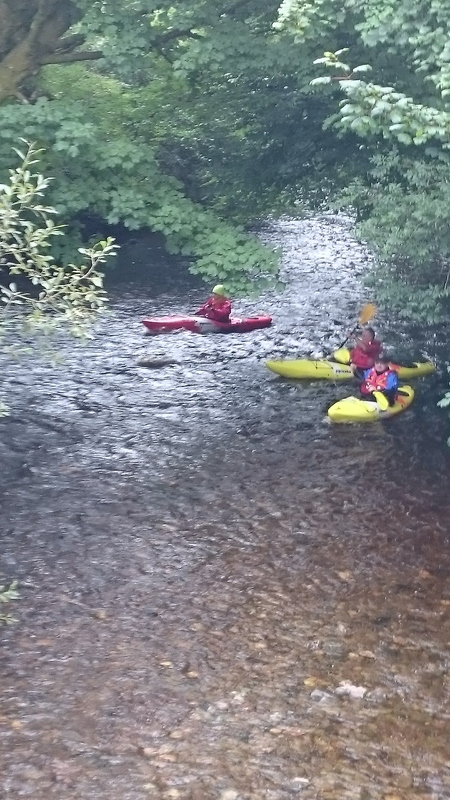 The shallowing rapids gave a bit of skill training before heading south again to the Arden campsite. At Arden we made our way up to the campsite for a picnic and photo. This is a wonderful place to stop and/or camp. After the stop we headed south again into the freshening breeze. 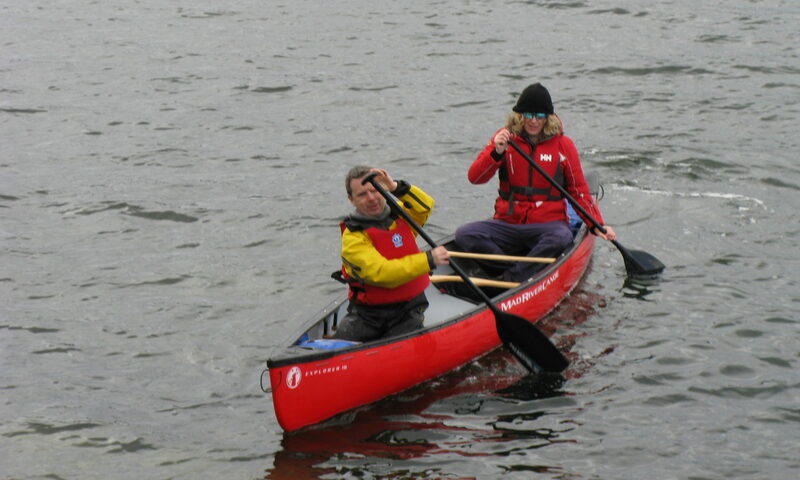 The boats proved to be suprisingly good in both the river and windy loch contexts (see https://www.facebook.com/helensburghcanoeclub/timeline for more information on the kayaks). In no time we were back and on our way home after a leisurely and enjoyable morning’s paddle.